It’s practically a sin to come to Bordeaux and not visit a château. But sometimes time is of the essence, and a visit to most of Bordeaux’s châteaux requires at least half a day. Aside from a thoroughly modern winery that makes you feel a bit like James Bond, Château Les Carmes Haut-Brion is the only château actually situated within Bordeaux’s city limits. You can easily combine Bordeaux city sightseeing with a visit to this stunning château all in a day trip to Bordeaux. 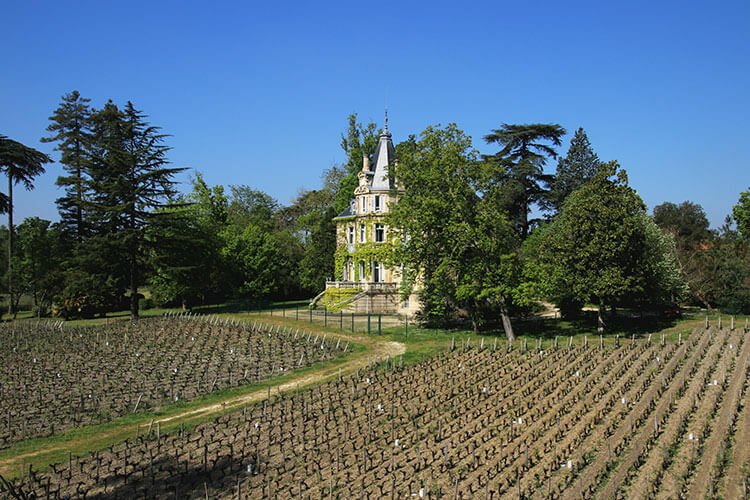 Though there are a number of Bordeaux châteaux that you can easily visit independently using Bordeaux’s excellent public transportation network of trams, buses and trains, Château Les Carmes Haut-Brion is one of the easiest to reach from Bordeaux Centre. Château Les Carmes Haut-Brion can trace its history back to the 16th century. It actually got its start as part of the famous Château Haut-Brion estate, the only of the 1855 Premier Grand Cru Classé châteaux not geographically located in the Médoc. As the story goes, Haut-Brion estate owner Jean de Pontac donated land with a water mill on it to the Carmelite order when he was 101 years of age. That water mill was situated right in the middle of what would become the 29 hectares of Château Les Carmes Haut-Brion vineyards. The Carmelites managed the land from 1584 until the French Revolution in 1789. It was a time of social and political upheaval in France, and religious orders were forced to hand over much of their land and holdings to the government. 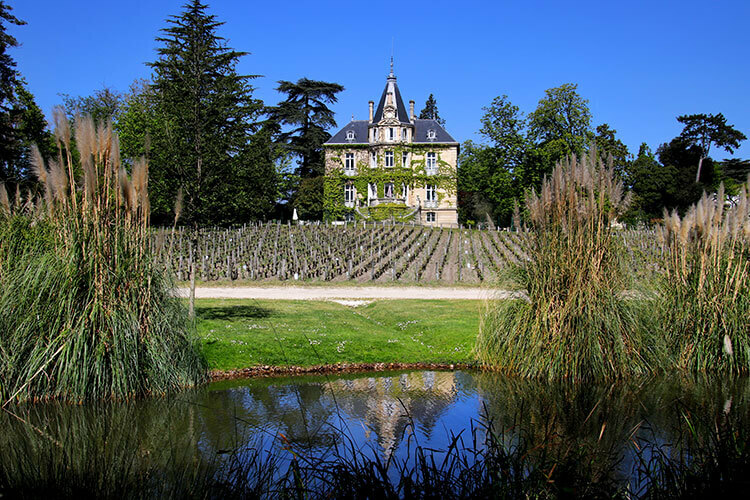 Like many other châteaux in the Bordeaux wine region, its future was uncertain. Leon Colin, a Bordeaux negociant and direct descendant of the original owners, the Chantecaille-Furt family, purchased the château in 1840. Château Les Carmes Haut-Brion remained in the Chantecaille-Furt family until 2010, when it was sold to real estate executive Patrice Pichet of the Groupe Pichet fame in Bordeaux. Château Les Carmes Haut-Brion’s address is 20 Rue de Carmes, 33000 Bordeaux. 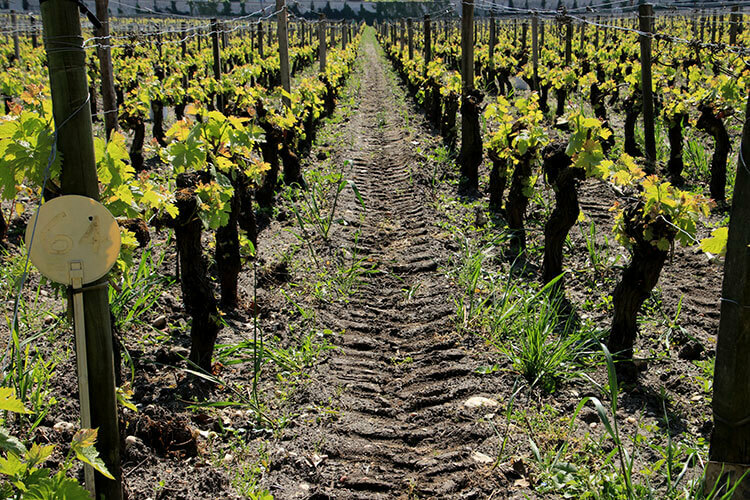 While the hectares of vines have been expanded and actually span three different towns that are part of the Bordeaux Métropole, the original vineyard, winery and boutique are Bordeaux’s only urban vineyard. It is a clos, meaning it is entirely surrounded by walls. The visit begins in the vineyard at the plots located just between the modern winery and the vine-covered château. 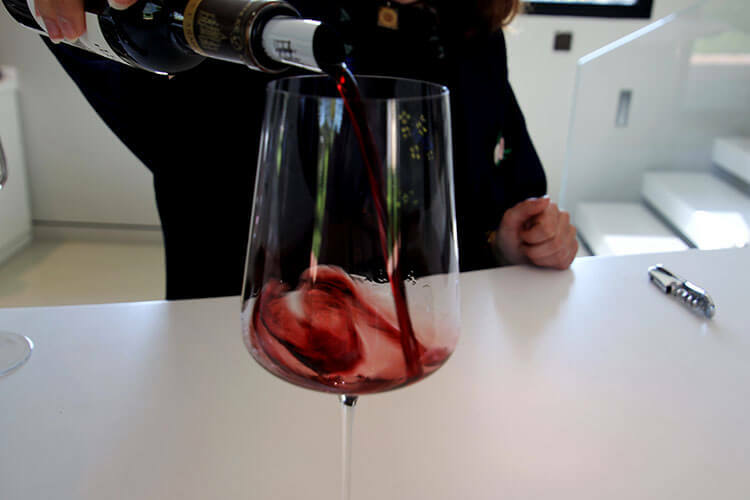 The appellation here is Pessac-Léognan and the vineyard is planted with Cabernet Franc, Cabernet Sauvignon and Merlot. Though not certified organic, it’s important to Château Les Carmes Haut-Brion that they adhere to organic standards. The grapes are all hand-harvested. 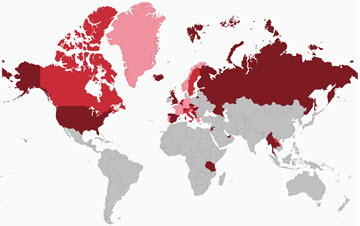 All of these practices, along with wine-making techniques out of the norm for Bordeaux, have greatly increased the quality of the wine under the Pichet ownership. The château itself, which was built during the 19th century, remains as a private home and part of the Chantecaille-Furt family estate. It sits on the edge of one of the plots of vines, and visitors can enjoy gazing upon the lovely mansion. The star of the show is the winery, which is a 21st century nod to Bordeaux’s maritime history. It was designed by the French designer Philippe Starck. 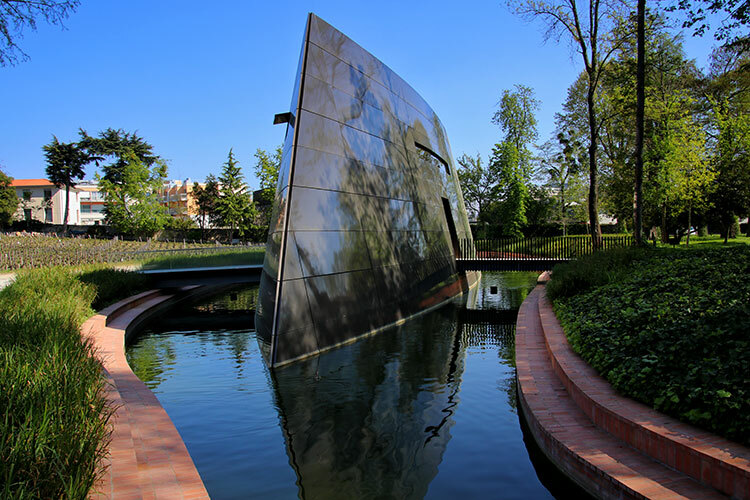 Resembling an upside down ship, the modern winery was built because the old one was simply too small to further accommodate the expanded wine making activities after Pichet purchased Château Les Carmes Haut-Brion. It spans four levels, with the barrel room submerged beneath the water surrounding the winery. The glass door slides open as you cross the little bridge, making it feel oh-so James Bond. On the ground level, the vat room is a mix of wood, stainless steel and wooden vats. The different types of vats are used to ferment and age the three different types of grape varietals that make up the vineyards of Château Les Carmes Haut-Brion. Some of the concrete vats painted with murals catch the eye. It’s an ongoing collaboration with artists and it was Philippe Starck’s daughter, Ara Starck that created the first original painting on vat n°18. Her work in red, white and green symbolizes the various working parts of a château and how they come together to produce a great wine. 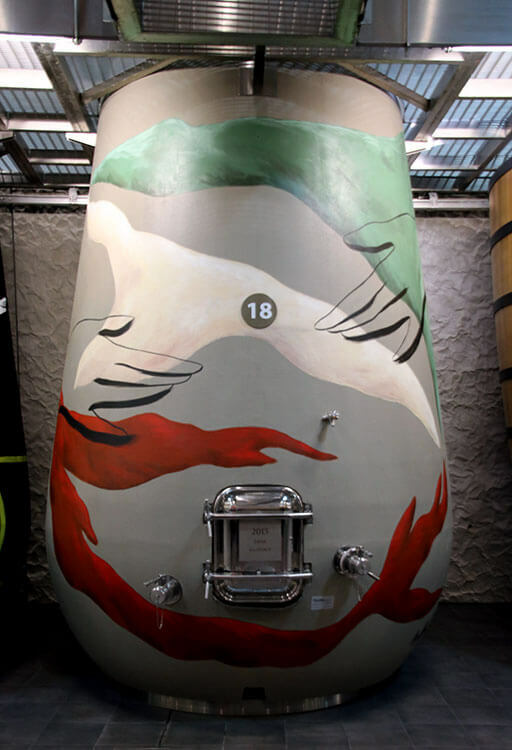 Each year an artist is invited create an original work on a vat, and as of 2019 there are three original works in the winery. 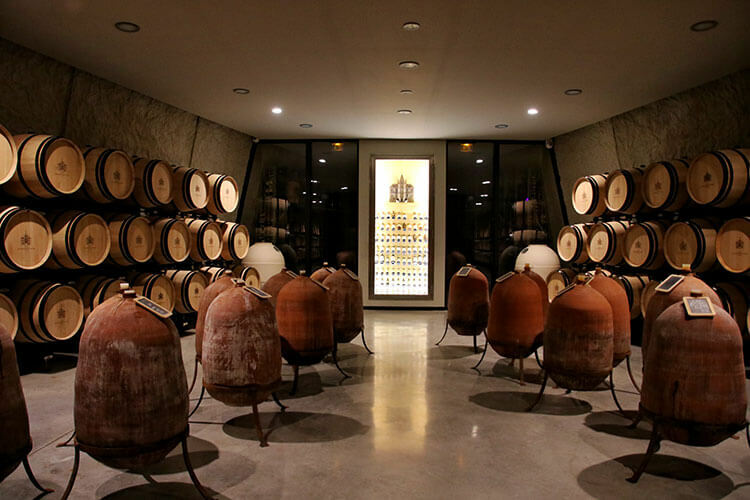 Downstairs, the barrel room holds the barrels of aging wine in mostly new French oak barrels, a collection of terracotta amphora, and a small part of owner Patrice Pichet’s personal wine collection. Of course it includes various vintages of Château Les Carmes Haut-Brion, but also some Château Mouton Rothschild, Château Latour, Château Petrus and Château Ausone. Upstairs on the first level is a gorgeous room with pieces like the chairs and chandelier that are unmistakably Philippe Starck, if you know the work of this designer. Currently it’s used for private events like hosting lunches during En Primeur. Then there’s the rooftop, where I’d love to have a dinner party on a Bordeaux summer evening. With only the spiral staircase as an exit, it’s only used for the enjoyment of visitors to gaze out over the vineyard and garden. The visit ends with a tasting of two wines back in the boutique C des Carmes Haut-Brion is a more traditional Bordeaux blend that is light and meant to be drunk younger. The premier wine is Château Les Carmes Haut-Brion and is atypical of a Bordeaux blend with its high percentage of Cabernet Franc. It’s stronger and perfect for enjoying with a meal like duck breast or a steak. Before rushing off back to the tram and Bordeaux Centre, linger a bit to enjoy the beautiful gardens with a stroll around. They date back to the 19th century at the same time the château was built, and were designed by landscape artist Fischer. He also designed the Jardin Public in Bordeaux. Château Les Carmes Haut-Brion is is easy to reach on public transportation from Bordeauc Centre in just 30 minutes using Tram Line A to the François Mitterand stop. It is then about a 10 minute walk for 850 meters to the château. You can also transfer from Tram Line A at the Saint-Augustin stop to Bus 41 and ride for three stops to the Docteur Rocas stop ride outside the gate of Château Les Carmes Haut Brion. Plan your journey. Château Les Carmes Haut-Brion is open for visits by appointment only. 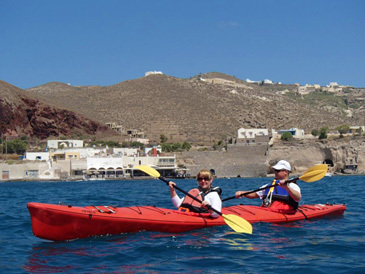 Group visits are available from Monday – Friday at 11am and 3pm. Private visits are available from Monday – Saturday from 9:30am – 12:30pm and 2pm – 6pm. Request your visit online. This looks like a spectacular winery to visit — great wine, beautiful vineyards and a phillipe starck designed winery!? Wow…definitely adding it to our ever-growing list when we return to Bordeaux! Holy Crap! There is so much here to love! Where do I start? As a Cab Franc lover, I would love to taste these wines. I was not familiar with Phillip Starck and now I have a new to me designers works to explore. The winery is beautiful and unique, the painted vats…the amphorae…the history with the Carmelites…(of course mid way through this great read, I got distracted by the video of the fantastic treehouses). All in all you provided me with a great morning escape and a winery to add to my bucket list!